The word “Thanksgiving” conjures up images of my family gathering around the table in Pennsylvania, passing the turkey and mashed potatoes to one another. But not this year. While my family's off on a surfing trip in Mexico, I'm staying in New York to spend time with my boyfriend Wes. Note to self: Remember to schedule in some gym time. And they're showing Woody Allen's latest! Perfect. Now that I’ve shared with you how I’m using Hotpot to plan my Thanksgiving weekend, do tell: How are you using Hotpot for the holiday? Share your stories in the comments. 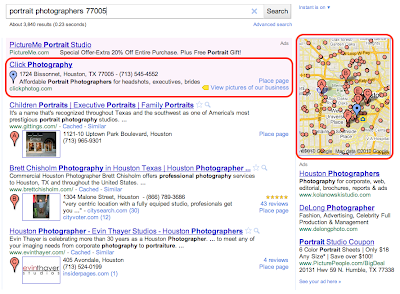 Cajun Grocer’s ad for “turducken” searches, using AdWords Product Extensions. Elliott Antal, eMarketing Manager from the Richard Petty Driving Experience, recently won the Google AdWords Conversion Champion Challenge. His sweet, sweet reward was one-on-one time with the Conversion Optimizer team (and a free trip to Google headquarters). Renowned NASCAR driver Richard Petty founded the driving experience in 1994 to provide high quality motorsports entertainment with new audiences. The business is headquartered in Concord, North Carolina and it runs NASCAR driving experiences at over twenty racetracks worldwide. The Richard Petty Driving Experience is all about the in-person adventure, so marketing it online requires creativity and dedication. Antal’s initial strategy was to target new audiences with two campaigns: one focused on race tracks where Richard Petty has a presence and another focused on Richard Petty branded terms. He quickly noticed that while he was reaching a vast audience, clicks weren’t resulting in as many purchases as he had hoped. When he activated the Conversion Optimizer, Antal knew he’d found the solution to his problem. By automatically investing budget in clicks that are likely to lead to sales, the Conversion Optimizer reallocated funds to the most cost-effective terms. “Our main goal is to have people book a riding or driving experience and this allowed us to move money to keywords that lead to those conversions,” says Antal. Before using the Conversion Optimizer, Antal had allocated budget equally across branded and non-branded terms. When he activated the tool, conversions on branded terms increased significantly and yielded a stunning return on investment -- even better than other non-AdWords initiatives. To capture even more conversions, Antal moved some of his overall marketing budget over to the branded terms campaign. To learn more about the Conversion Optimizer, please visit the Conversion Optimizer site. , India’s first direct-to-consumer remote technical support company. Founded on a belief in good karma, iYogi aims to mitigate frustrations with technical products and services by delivering a high-quality customer service experience. iYogi provides round-the-clock, 24-hours service on a wide variety of technical products and issues, in Australia, Canada, the U.S. and the U.K. Uday uses Google AdWords to reach these international customers. Today, iYogi is one of the fastest growing remote tech support provider in the world. As Uday continues to expand his business internationally, he’ll continue to use insights gained from his ad campaigns and to provide the rest of the world with similarly karmic technical support experiences! , who have found success using AdWords. Biztree’s relationship with Google started in early 2003. We had just taken a loan of $25,000 to invest in advertising and we spread it across seven channels including affiliate programs, mass email, forum advertising, content and search advertising. After 30 days we lost all our money in all channels – except one. The small investment we made in Google search returned almost three times our investment! At that point we went back to the bank to borrow $100K hoping to replicate the results. After much fighting with investors, we finally received the funds and the same results were obtained again! To this day we continue to see similar results (2 to 3X returns) and know that we can count on Google as a reliable source of quality traffic. Today, Business-in-a-Box is the leading legal and business document template software. It’s available in 8 different languages and has over 2 million users worldwide. We help small and medium businesses quickly produce all sorts of documents and with Google’s help, business people in over 200 countries are now able to create contracts, legal agreements, business plans, marketing plans, forms and financial spreadsheets, in a matter of minutes. We owe a large part of our success to our relationship with Google where we’ve gone from spending $100K per year to well over $100K per month! In our view, Google’s biggest strength lies in its ability to stay ahead of the competition by continually improving user experience and upgrading and fine-tuning its powerful technologies, as witnessed by constant additions to Google Analytics, AdWords Editor tool and Website Optimizer. The second thing we love most about Google is how it enables us to quickly test our marketing efforts, while generating near instant results. A great deal of our success with Google comes not simply from its outstanding ad platform, but from its people. From the very start of our relationship, we’ve been dazzled by a customer service team that is not only great at resolving issues, but also at helping small businesses improve their advertising practices. Here on the Small Business Blog, we occasionally share the successes of our customers by letting them tell their story in their own voice. Today, we’re happy to feature Jonathan Defoy and Bruno Goulet, founders of Biztree, who have found success using AdWords. (BCG), a well-respected adviser on business strategy, to conduct an analysis of the impact of the Internet on the UK economy. BCG researched the impact that being online has had on overall businesses sales, and the results were again startling. In recent years, businesses that embraced the Internet have seen four times the growth in sales than businesses that haven’t. Understanding the importance of the Internet on the UK economy was useful, but BCG wanted to dig deeper and compare how the UK ranks against other countries. So they devised what they’ve called an “e-intensity index” which looks at three main factors: the ease of access to the Internet, the amount spent on the Internet, and the level of engagement people have with the Internet. Whilst the UK led on the amount of money spent online, the overall leader was Denmark, with the UK in 6th, and Germany, USA, and France in 9th, 11th and14th place, respectively. To view a full version of the report, get involved in the debate and have your say in what the UK government should do to help grow the UK Internet economy, we encourage you to visit www.connectedkingdom.co.uk. At Google we’ve always believed that the Internet is an engine of economic growth, but until now no one has ever quantified who, how, why, where and what was behind this growth. So we asked The Boston Consulting Group (BCG), a well-respected adviser on business strategy, to conduct an analysis of the impact of the Internet on the UK economy. encounters challenges typical of businesses that rely on foot traffic and long-term relationships with clients. For more than half a century, Spanierman Gallery has dealt in some of the finest works of American art, including works by Georgia O’Keeffe, Winslow Homer and James A.M. Whistler. But because of the abundance of nearby galleries, connecting with a small, discriminating clientele requires continual effort. A strong online presence that helps drive foot traffic to the gallery is essential in today’s art market. Spanierman embraced the Internet early, launching a website in the mid-1990s. For several years, this helped give the gallery an edge, enabling potential clients to easily find it when they searched for artists who had works on display there. That changed as more competitors ventured online. “As more people embrace the web, we’ve had to step up our game,” says Marketing Director David Spanierman. For a business that relies on patrons with discretionary income, the sluggish economy has only heightened the need for more visibility. Spanierman knew he needed to do more. 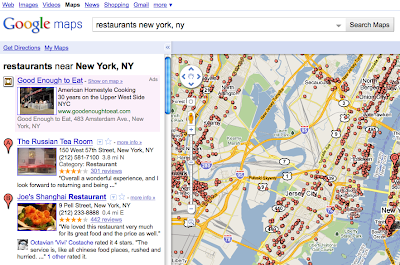 After using Google Places to manage his free business listing on Google.com and Google Maps for two years, Spanierman decided to try Google Tags in July 2010. Adding a distinct yellow marker to his business listing, which calls attention to his gallery amongst a list of similar businesses, made immediate sense. He uses the photo tag to emphasize to potential customers that they can view artwork from the current exhibitions. 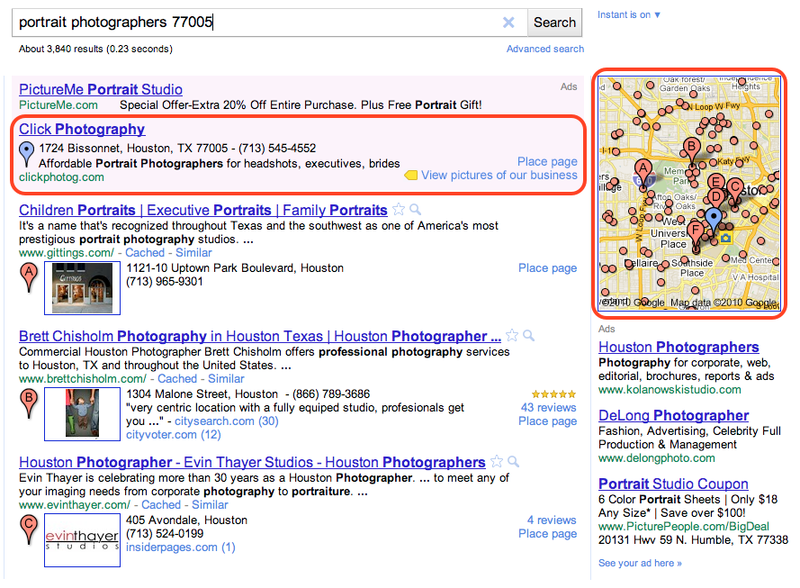 Since the gallery began using Google Tags, interactions with its business listing have increased nearly 10 percent. Spanierman sees Google Tags as a wise addition to his marketing mix not only because of its affordability, but also because it enables him to quickly and easily edit his tag to match the gallery’s changing exhibitions. “When it comes to performance, price and flexibility, Google Tags is the winner,” he says. 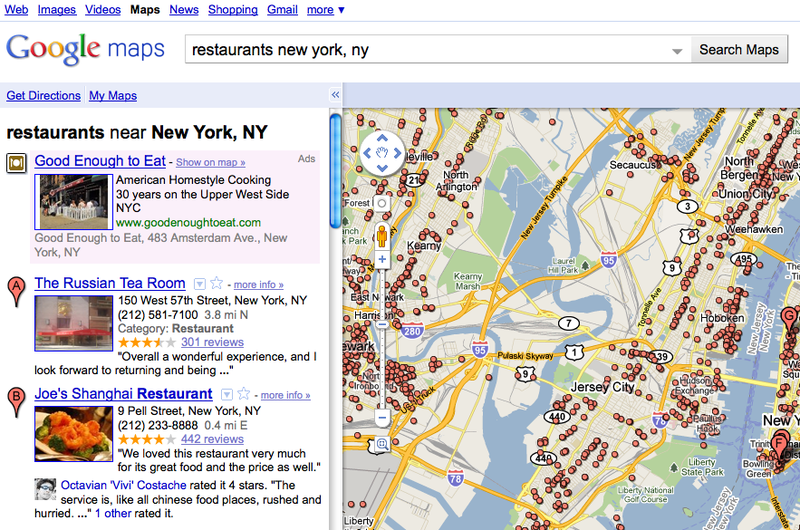 Make your listing stand out with Google Tags, try it out now www.google.com/help/tags. New York City’s Spanierman Gallery encounters challenges typical of businesses that rely on foot traffic and long-term relationships with clients. Shortly after launching Google Apps for business customers in 2007, we began to hear that IT solution providers were recommending Google Apps to their customers as a new option for messaging and collaboration tools. At the time, we didn’t have formal support for solution providers, and their only incentive was to act in the best interests of their customers. During those early days of Google Apps, we spent valuable time gathering feedback from these leading-edge solution providers and learning how best to create an official reseller program for Google Apps that worked for solution providers’ business models. As a result, when we launched the Google Apps Authorized Reseller program in early 2009, we focused the program on providing resellers the best of both worlds - an innovative web-based messaging and collaboration suite for their customers and a reseller program that allowed them to retain and enhance their customer relationships. Over the past 8 months we’ve doubled the number of resellers in our Google Apps Authorized Reseller program, and now have over 2,000 authorized resellers worldwide. And our unique qualification process continues to ensure that new resellers understand both the business value and technical aspects of the offering. During the past year we’ve highlighted a number of customer success stories where resellers such as Dito, LTech, Sheepdog, and Cloud Sherpas led complex customer deployments. These resellers, and many others, have put together growing businesses by focusing primarily on Google Apps and other cloud-based applications. But that’s not all. We’ve also gained awareness and adoption within mainstream IT channel communities. This includes value added resellers, managed service providers, web developers, web hosting companies, Internet service providers, and system integrators, all of whom have established businesses with existing client bases and have expanded their business by offering Google Apps. Like the early adopters in 2007, these solution providers are foremost focused on doing the right thing for their customers. But they’re also taking advantage of the primary design point of our reseller program - allowing the reseller to manage the billing and support relationship and be the primary point of contact with the customer. We’ve recognized from the start of our program that providing resellers with control over billing and pricing, and allowing them into the primary flow of account provisioning, support, and messaging, is critical for them to effectively support their customers and make money. We’ve seen strong adoption among managed service providers (MSPs) who tend to have fostered long-term, trusted customer relationships, understand recurring revenue models, focus on service offerings, and have fixed fee service contracts which are a great fit for reliable and predictable products like Google Apps. Agosto is an example of an early MSP that has seamlessly rolled Google Apps into their full IT support helpdesk offering. They’ve been able to cross-sell their offerings in both directions, including converting customers of their Google Apps implementation service into full IT service clients. Even more powerfully, they’ve been able to enhance their long running client relationships by re-engaging them with relevant new opportunities to use collaboration capabilities in Google Sites, Video, and forms in Google Docs. We’ve also seen adoption among web development, design, and hosting companies, for whom providing an email service is often a necessary part of helping small businesses with their online presence. Companies like Vision Multimedia Technologies are able to remain focused on their primary business of web development by using Google Apps to reliably handle the customers’ email, while also introducing the benefits of the rest of the Google Apps suite. And they’ve been able to offer consulting and web development services such as implementing portal and workflow solutions based on Google Sites to streamline content management for clients. All while providing the customer a simplified, single bill to pay. Whether they’ve incorporated Google Apps into their existing business or they’ve built new businesses around it, a common denominator among our successful resellers is that they view bringing Google technology into their customer relationships as a way to strengthen and increase the strategic nature of these relationships. While we are excited to have more than 2,000 resellers in our program, we anticipate further enhancing the program, the Google Apps suite, and the Google Apps Marketplace, to help our resellers grow their business with both new and existing customers. If you’re an IT solution provider, learn more and get started with our reseller program today. Or if your company is using Google Apps and you have a preferred solution provider that you’d like to see get additional training on Google Apps, send them this post and we’d be happy to work with them.